Few figures in jazz have more effectively made a case for the melodic aspect of percussion than Max Roach. As one of the progenitors of bebop drumming, he favored a style of playing that often traced the contours of a song. Just as remarkably, Roach dove more or less headfirst into free improvisation during the '70s, erecting compositional structures where there was previously shapelessness. Streams of Consciousness (Piadrum), a 1977 tête-à-tête with pianist Abdullah Ibrahim, fits comfortably in both the melodic and freeform categories of Roach's canon. Strains of gospel, blues and swing weave throughout the canvas of these duo improvisations, along with percussive interludes imported from the African continent (where Ibrahim, then known as Dollar Brand, spent his youth). In fact, black music serves both as an animating principle and a framework for Streams, giving shape to an otherwise open-ended dialogue. The ease with which Roach and Ibrahim speak this language is evident; their clear rapport signals both a shared grasp of jazz's origins and a shared commitment to the cause of freedom. Tellingly, the album begins and ends on the same ascending gospel tremolo, implying eternity and a journey come full circle. Originally released in 1977 on the Bay State label, Streams Of Consciousness is a classic, open-ended summit meeting between South African pianist Abdullah Ibrahim and African-American drummer Max Roach that blazes with drama, suspense, sympathy and surprise. Both musicians were at the top of their games - fearless, ferocious, high-spirited and hopeful - and eminently able to execute whatever came to mind. Roach, a consummate designer of sound who thinks like a composer, excels in sparse duet situations like this. Knowing when to yield and when to charge, when to complement and when to take the foreground. Roach adds not just melody, but color, shape, texture and form to everything he plays here. Ibrahim was still willing in 1977 to use the piano as a resounding, dissonant canvas, rumbling and clustering, as well as waxing glassy with folksy melodies and aching tremolos. All four tracks here were spontaneously composed. The centerpiece is the title opener, a 20-minute excursion that begins, as so much Ibrahim does, in church, with a tremolo hymn. Roach follows using a simple kit that sounds decidedly African - not because of non-Western drums - but because his bass drum and a dry-sounding tom dominate a series of quick, discreet figures that subtly change in each cadence. The pair then finds a medium swing feel, as Ibrahim leaps into dissonance and Roach finds a funky skip in his bass drum. Five minutes in, these guys are just flying through territory that is dark, deep and delicious. AT one point, a happy, dancing blues arises; at another, Roach's half-shut hi-hat whispers and shakes. There are Ibrahim vamps, suspense-movie interludes and a cymbal symphonette and , finally, a heart-rending , beautiful waltz. Of the other three shorter tracks, "Consanguinity" stands out, living up to the then-political overtones of this Africa/African-American conference. Roach sets up a 12/8 feel on a deep, loose-headed tom, and Ibrahim punctuates, as if he were a drum. Roach's subtle integration of marching-band fundamentals and additive, African Layering is brilliant. "Inception" is quiet and exploratory, with lots of rests, leaving only the footprints of a township tune, á là Thelonious Monk's "Evidence." Surprisingly, the duo lets the tempo get away from them on "Acclamation," a deliberate, 4/4 march with an old-timey feel and a rumbling vamp. It's the least appealing track. A further deficit is the quality of the recorded drum sound, which has that dry, sock-in-the-tub tone that probably sounded really hip in 1977. But never mind. This conversation is a marvelous rediscovery. Ibrahim is exponentially better in the company of strong partners. Here he's got the strongest imaginable, Roach in incredible form circa '77, driving gracefully and holding the pianist's more noodly tendencies at bay. Stunningly recorded, it's a definite keeper. There's a section midway through the title cut where Roach perfectly punctuates the pianist's short burst of boogie - really impressive. But Ibrahim lacks the derring-do that marks Max's work. Balance is key to his art; he's rather build slowly toward bravado than wobble for even a second, and that tempers some of the session's possible glory. Roach and Ibrahim make a dense duo, alternating between settled interludes and spread-edge splendor - nowhere more than on "Acclamation," whose second gospel theme is hammered home with fire and brimstone intensity. The title cut meanders a bit, but the rapport is real. During the interim period when Abdullah Ibrahim was once again known as Dollar Brand, he went into the studio with Max Roach. That particular event happened on September 20, 1977. Roach, in his brief but all-encompassing notes, says that there were no rehearsals and no plans as to what they were going to record. Sure, it is said that they were friends, and they shared social and cultural backgrounds. Those are good points of reference, but there has to be something more: a perspicacity, a feel, anticipation and vision that have to course through the blood and in the mind. Roach and Ibrahim are in the swell of the tide. Now that Streams of Consciousness is available once more, listen to two articulate imaginaries as they take you on their completely improvised journey, savor the experience and acknowledge, as well, the good sense that activated the re-release of the music. The sum of the four tunes (witness the names given them!) make up the breathtaking whole. The title tune runs just over 21 minutes, every one of which offers a dynamic of exploration. Ibrahim sets up the mood in a virtuosic panoply of rich euphonic chording that Roach reinvents with a shifting timbral pulse. And then eloquence converges, the piano setting mood and pace and melody, the drums singing in tandem with chromatic swells or chugging along and accenting rhythms that extend the constantly changing motifs. The flavor of “Inception” is subtle. Ibrahim probes and instils the spaces with a gradually evolving melodic thread. A jubilant, gospel air stirs “Acclamation” before it moves into the wont of Ibrahim, the happy land of a South African melody, as spellbinding as it can be as he shapes varied patterns from the nucleus. If ever there was consanguinity between two musicians, this is proof positive. An irresistible piano introduction that sends us back to the far and ancestral echo. It’s like a South African hymn. Then a short thought of drum solo follows. It’s nearly structuralist. A way of drumming that explores the melodic side, beyond rhythmic. Now the two instruments travel on a common road, and they meet on a cool timing, very jazz, with elegance and authority. Think that the album is called Streams of Consciousness, which reminds us the concept of James Joyce on his way to write the Ulisse... But this is not an inner monologue. Rather a dialogue absolutely at par. Free, very free, where reciprocal listening is most important to prevail. This is one of the most beautiful and undervalued duets in the history of jazz. So that we have to wait for 27 years before the CD is released. This is an event. We like to remember and listen because this work is so fresh, spontaneous, as a conversation. Ibrahim's South Africa, in full apartheid, is present in various passages while the masters of piano appeared on the background (Ellington and Monk). His art found an ideal partnership in the music of the intellectual and African-American Roach. It is in perfect agreement but also spiritual and human, and an act of love for swing (the irresistible Acclamation). All this in just four tunes, is a result of instantaneous compositions. Things of another time, to(re)discover. 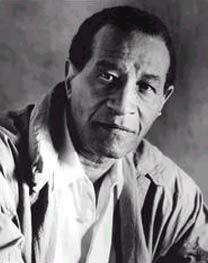 "Drummer Max Roach has to be one of the most adventurous musicians jazz has ever seen. The man was an architect of bebop, only to record albums of duets with extremely avant-garde giants Cecil Taylor and Anthony Braxton decades later..."
"Of course if you then put on Piadrum Records' reissue of 1977's Streams of Consciousness...""These spontaneous duets with pianist Abdullah Ibrahim (a.k.a. Dollar Brand) are fierce, energetic beasts. Ibrahim has never been an especially avant-garde player, but as the title suggests, letting the music flow directly from his brain results in a wilder side of him. But don't expect Cecil Taylor-like dizziness - his playing is very rhythmic, and at times it's as though Ibrahim is accompanying Roach's lead drums. And as his duets with Taylor and Braxton proved, Roach can really let the ideas fly in this setting. His drums has a crisp, tough, almost angry sound, and he plays the absolute crap out of them. While it may seem like he sounds like a totally different person from the one on Friendship, on both recordings he is easily identifiable because of the peerless sense of melody, and even composition, that he brings to the idea of improvisation. Keep going, Max.